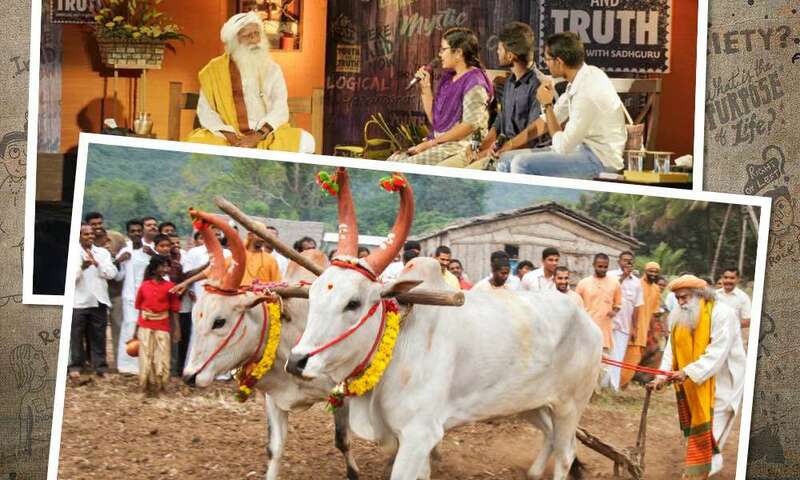 During a conversation with students of Tamil Nadu Agricultural University, Sadhguru traces the shifts of Indian agriculture from ancient times through invasions and occupations, the repercussions from which today’s farmers still suffer. He outlines the steps which must be taken to improve the lives of modern farmers and secure the future of agriculture in the nation. 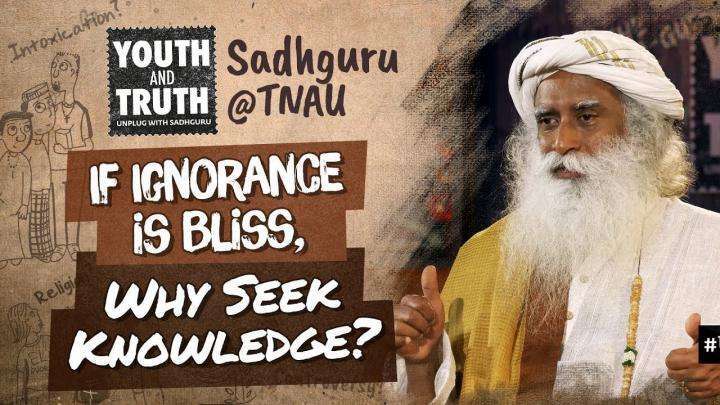 Q: Sadhguru, since we are studying in an agriculture university, my question is related to agriculture. 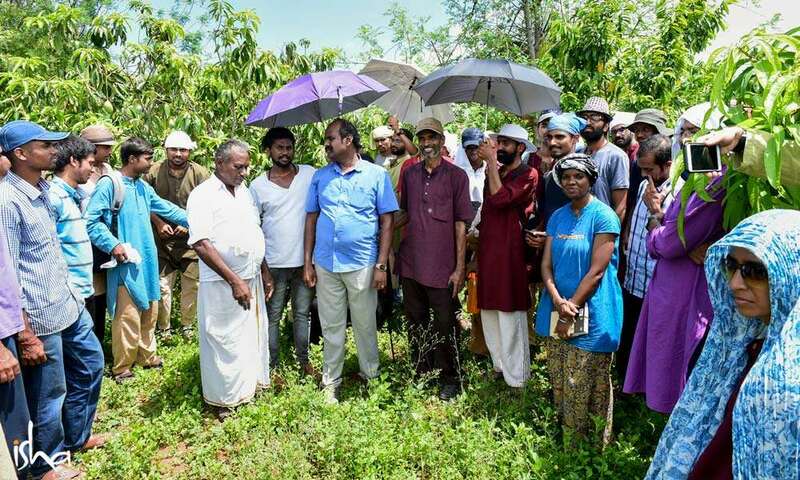 Agriculture was an industry which supported the GDP by more than thirty percent in the medieval times, but now it has come down to sixteen to seventeen percent. But when you see the scenario, it is the only industry which employs more than two-thirds of the population. Isn’t this contradiction creating a constraint in the economic development of the country? 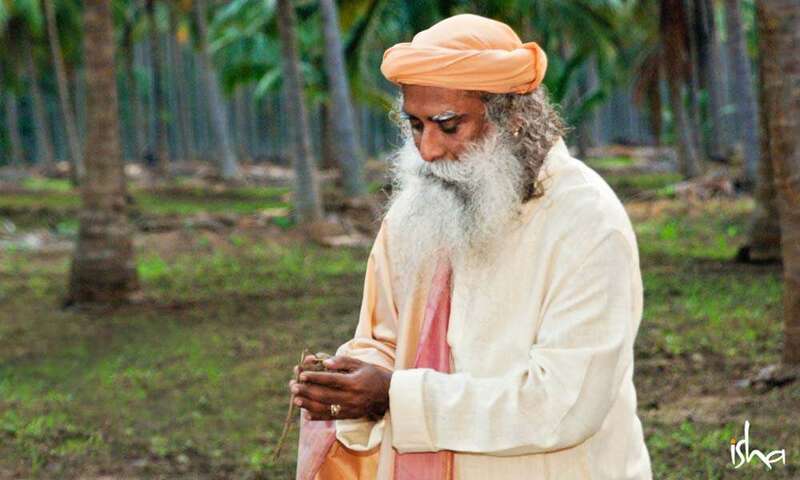 Sadhguru: It is very progressive to call agriculture an industry. Human ability to do agriculture is the basis of our civilization. If we were hunters and gatherers, we would have never made this civilization grow. It is only because of our ability to pull food out of mud that we built cities and towns and settled down, and many other arts, sciences and everything grew. If we were running after an animal wanting to spear it, we would have never developed a civilization as such. Agriculture is the basis of our civilization. We should not forget this. It is a kind of a magic. The soil that you walk upon is being turned into food. If you do not understand what magic I am talking about, tonight in your dinner, you eat the rest of the food, but instead of pickle, just have little bit of soil on the side, touch your food with it and eat. You will see how terrible it would be if we have to eat the soil. But we make that soil which we cannot eat into wonderful food which nourishes us and makes this flesh and blood. This is not a small thing. Transforming mud into food is agriculture. Human beings discovered this phenomenal process by observing plant life and harnessing it. As far as I know – being in college, you can tell me if I am wrong – this is the only country, except some patches of South America, where there is an over 12,000 year history of agriculture. 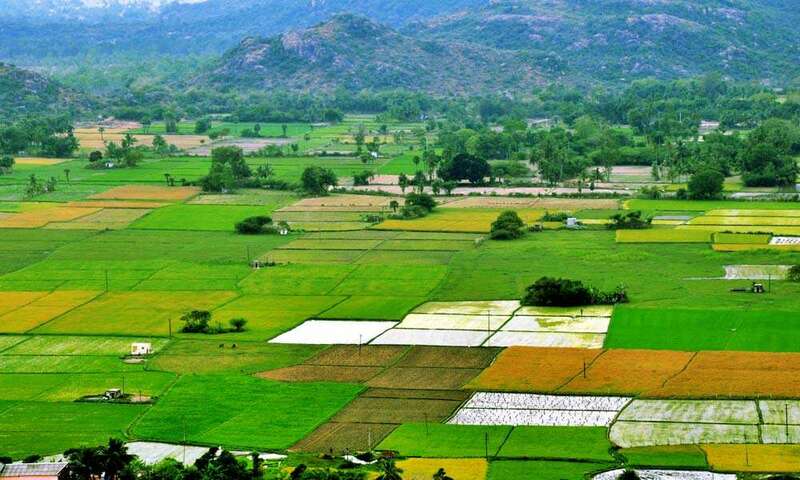 Here in southern India, in Tamil Nadu, we have ploughed the same land for over 12,000 years. In America, they call the soil “dirt”. Here, we say Thai Mannu [Mother Earth] because we have a profound relationship with this soil. Around 170 to 180 years ago, India was a very industrialized country. Three hundred years ago, we were probably the most industrialized country on the planet. 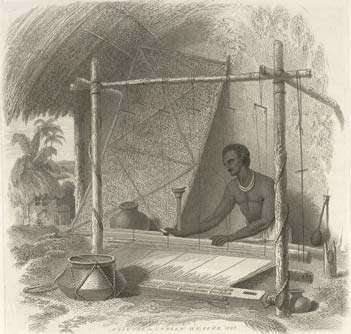 One of the major industries was textiles. We were exporting sixty percent of the world’s textile from this country. Between 1800 and 1860, the British saw that a huge amount of European money was coming to India just to buy clothing. The Arabs bought the Indian cloth and sold it ten times over in Europe. So, all their gold and silver was ending up in India. That is when they started their expeditions, Columbus, Vasco Da Gama, and others. Everybody started taking risks to find a sea route just to avoid the Arabs charging them ten times over for everything. When they came here, they saw the industry and how simple and ingenious it was: a man sits and does thak, thak, thak, thak, and cloth just comes out of it. They saw that this was such a simple industry and they could do it with machines, which they started establishing. In sixty years’ time, the export of textiles in this country came down by 98 percent. Only two percent was left because they put such heavy taxes, and in some places where very fine cloth was being produced, they cut off their thumbs and destroyed the looms. One of the British Governor Generals in the 1830s said that, “The fields of India are bleached by the bones of the hand weavers.” Lakhs of people died of starvation because their industry was destroyed. That is when a large population moved back to agriculture. This agriculture became mainly subsistence; just to make some food for themselves and their families, they started ploughing the land. 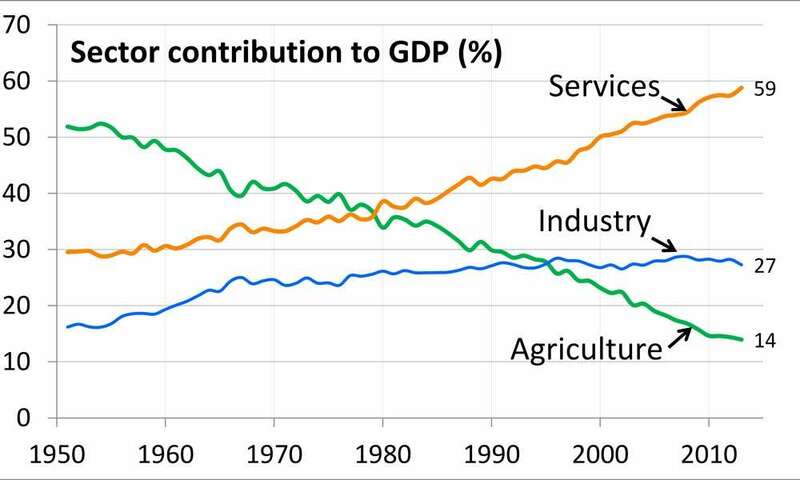 That is the reason that nearly 77 percent of India’s population was involved in agriculture in 1947. Today it has come down to 60 percent. This essentially means that if ten people have to eat, six people are cooking. This is not an efficient way to use human resource. In fact, if you look at our nation, the only true resource we have is human resource. We do not have anything much, but we have people. If we train, focus and inspire this population, we can be a tremendous miracle. If we fail to do that, we will be a big disaster. Sixty percent being in agriculture is not the right thing to do. We have to move the population. Moving the population does not mean moving them geographically into cities, but moving them to other trades, crafts and skills. No determined and organized effort has happened. Our main problem with agriculture began when we started moving from subsistence farming to cash farming or commercial farming approximately 45 to 50 years ago. Still it is not happening fully because it was not done in an organized way. Because of this, one thing that you will see is, the rural populations are heavily undernourished. 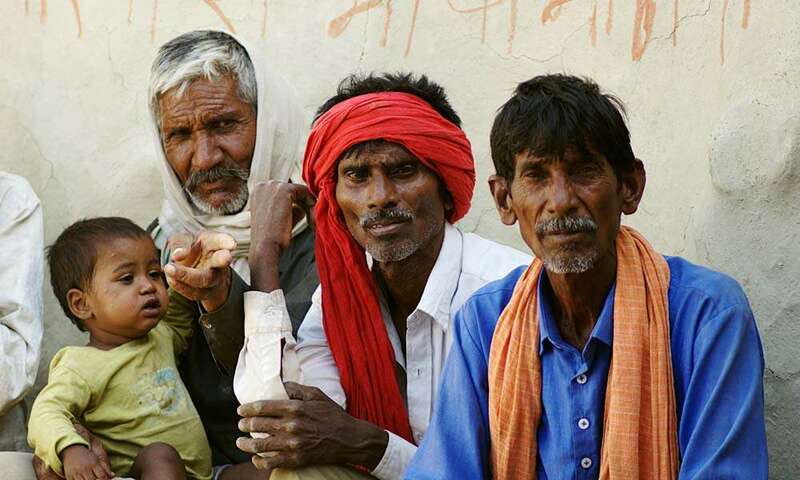 If you went into a village 40 years ago, everybody wore torn clothes, there was no drinking water – they drank from the same pond where the buffalos drank – and all kinds of problems were there, but men and women were strong. Today, if you go into a village, for 60 percent of the rural population, their skeletal system has not grown to full size. They have shrunk simply because of this move from subsistence farming to cash farming. When they were doing subsistence farming, they had no cash, but they were eating a variety of food. Today, the staple diet in southern India has become rice, tamarind, onion and chili. They know how to concoct something tasty: rasam sadham [rasam rice] itself is enough. In the North, it is just wheat, chili and onion. Because of this, the nourishment levels have dropped dramatically. 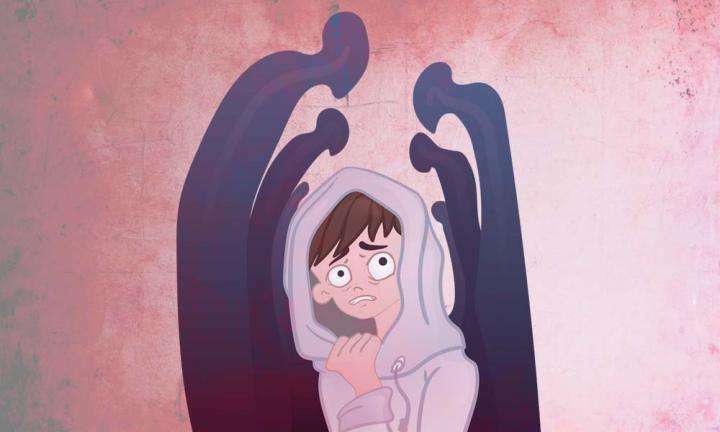 This is a serious concern because we are producing a generation of under-developed humanity. A huge number of people in this country have not eaten well in the early stages of their life, and they cannot make it up later. The development of the body and brain is gone. One of the most important things needed right now is to organize agriculture, to bring in technology and, above all, the economy of scale is needed. Right now, the average land holding is one hectare, or 2.5 acres, with which you cannot do anything worthwhile. You cannot really do anything significant with such small land holdings. So, we are trying to create farmer producer organizations and many other things to bring some kind of a scale. Scale is needed for cultivation, irrigation and marketing purpose. Because the farm volumes are so small, there is no solution for this. Right now there is a serious effort as part of the Rally for Rivers movement to multiply the farmers’ income. In about five to six years’ time, you can very easily multiply this income anywhere between three to eight times if you adopt certain technologies. Integration of irrigation is most important for this, along with using water resources properly and bringing animals back on the farm. A tractor only ploughs the land – it does not fertilize the land. For that, you need animals. Without animals, there is no way you can do farming in the future. These efforts are being made, but it is a large, diverse country – nothing positive or negative can ever happen without protest and turmoil. For every small thing, there is a struggle, but if we do not do this now, India’s agriculture could be in danger. If you take a survey of the farmers, how many of them want their children to go into farming? Believe me, it is somewhere around two to five percent, not more. That is not good for the country. 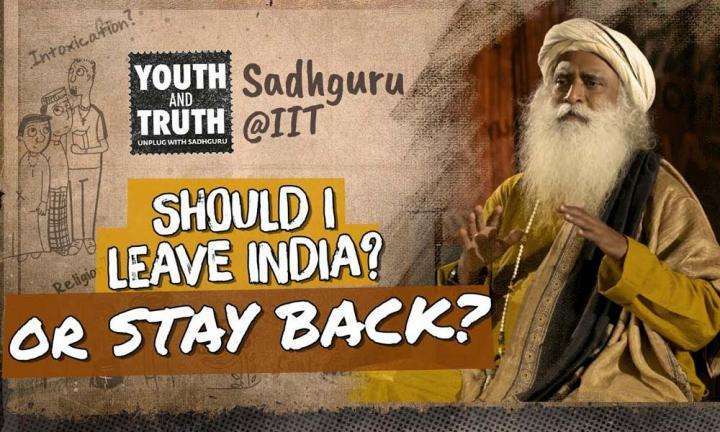 Sadhguru answers a question in IIT Bombay, on whether it is better to go abroad and send money back to India, or stay back in the country.